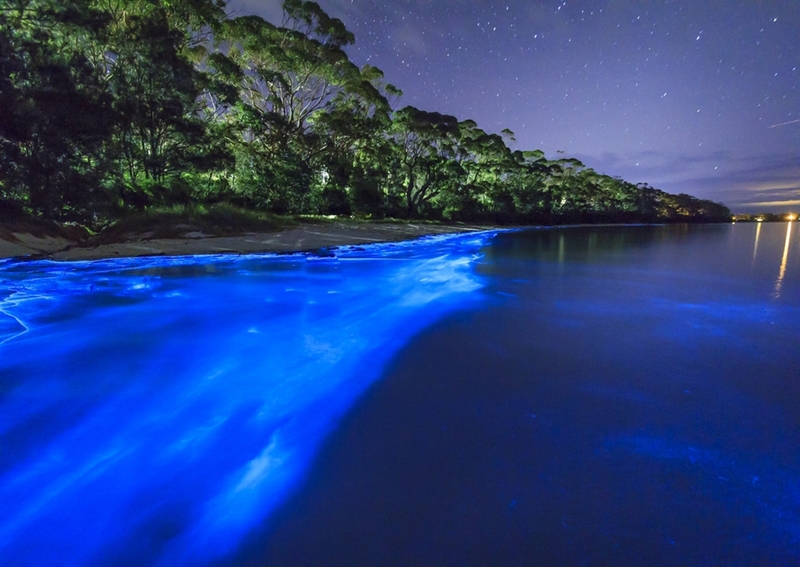 One of the most spectacular sights on a night trip in Vieques Island is to witness hundreds of tiny star-like bioluminescent plankton scintillating like a starry sky as you move through the dark water. 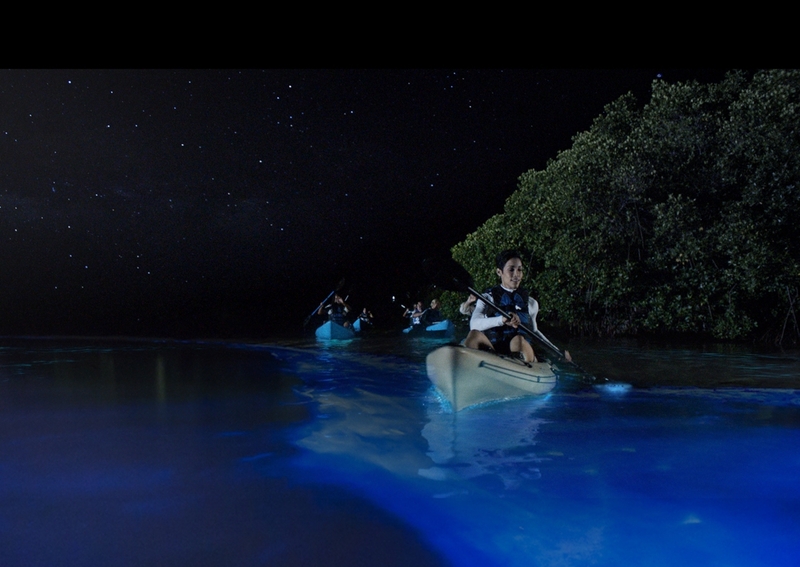 Wave your paddle through the water in front of you, and be mesmerized by the tiny glowing specs of plankton or Dinoflagellates which are tiny unicellular marine plankton also known as fire plants. Our price is competitive $50 per person and the quality of the tour is great. You only have to pay a desposit and the remaining amount in Vieques. We have all the licenses to operate in the Bay and our guides have their licences up to date. Meeting point is in Esperanza, you have to arrive there. Take in consideration that, no matter where you stay in Vieques, you need a Taxy or a Car Rental. The main Town is Isabel II. Supermarkets, Bakeries, the ferry dock …are there. 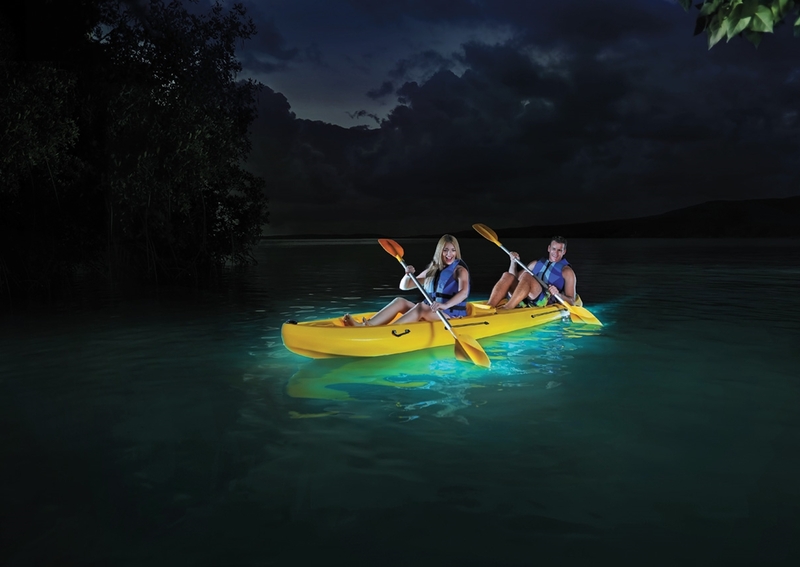 Vieqes island bioluminescent bay is the best bay around Puerto Rico – and one of the last that remain on the planet! Experience this rare phenomenon of nature as you glide through the tranquil surrounded by mangroves and teeming with sea life above and below the still water. Cost per person*: $50 p/p (If u are a large group >6 contact us) Children under 4 are free.